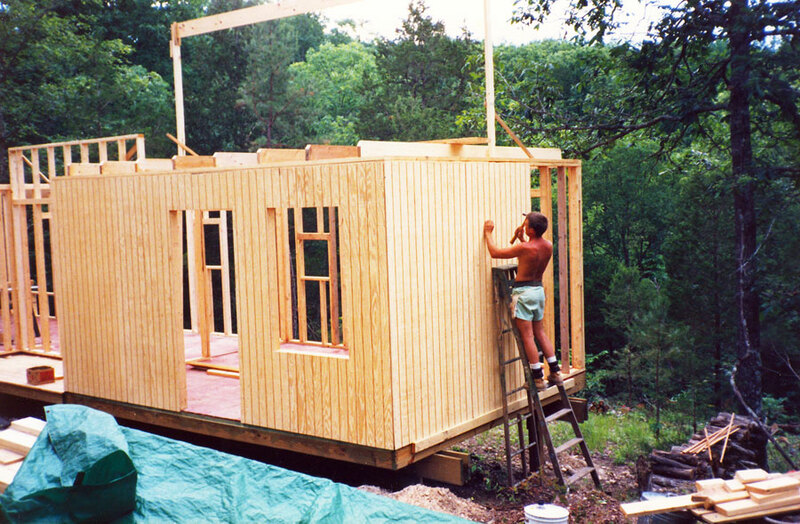 In the summer of 1990 Benson began construction on his second cabin, a larger, more substantial cabin than the first cabin. The siding was made from 4x8 sheets of channel-groove cedar plywood siding. 1990, scanned color print, 3 x 5 in. (7.62 x 12.7 cm). Ozark Series. © 2008 by Allen C. Benson.